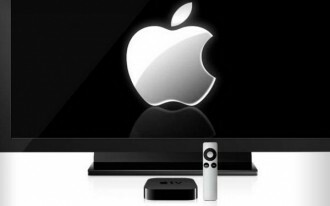 What if Apple's iTV wasn't a television at all? We’ve all heard the rumblings of an Apple television set and what it may or may not include but a new take on the iTV suggests it might not be a television at all. Forrester Research analyst James McQuivey believes that Apple should release a device he has dubbed the iHub, something he has been discussing with clients for over a year. McQuivey feels that Apple has all of the right ingredients to successfully market and sell a companion to the television. The iHub would be a 32-inch screen with touch, gesture and voice control that could be hung on the wall wherever a family congregates, like in the living room or dining room. The device is described as the center point for an Apple-powered home and could eventually replace traditional televisions. According to McQuivey, Apple’s base of super-engaged customers and hungry developers combined with their ability to enlighten people with regards to post-PC form factors and a solid track record for building simple and elegant products could be the perfect recipe for success. It’s a novel ideal but unlike anything we have heard thus far. As he points out in his blog post, the television business is difficult to break into as monopolists aren’t likely to give Apple full reign over their content. Simply providing a new display to watch content on wouldn’t be anything groundbreaking for the company or consumers and given all the hype around a device that hasn’t even been announced yet, it seems rather unlikely that Cupertino would bring something to the market that wasn’t truly innovative.